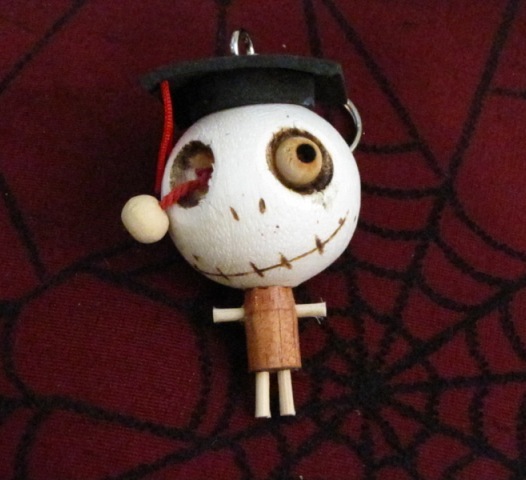 Eye Popping Out Graduate Hat Woody Keychain [W014] - $3.99 : Mystic Crypt, the most unique, hard to find items at ghoulishly great prices! 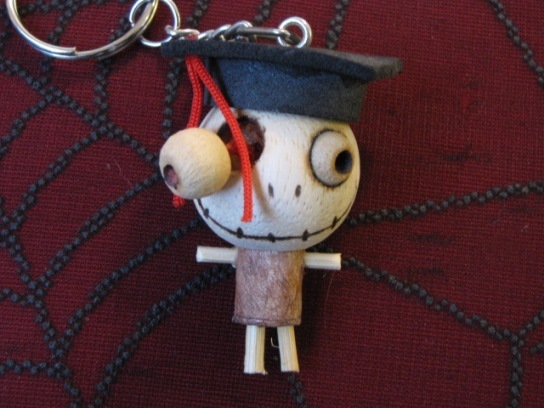 Eye Popping Out Graduate Hat Woody Keychain. The body measures 2 inches X 1 1/4 inches, plus metal keychain. 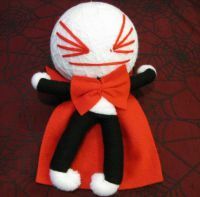 The head measures roughly 1 inch. Small Woody Key chains are individually handcrafted, so please allow for slight variances in the product. All items are 100% Handmade from wood, metal rings, rivet, and fabric decoration. 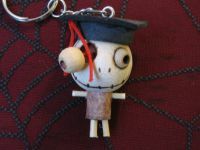 Get one of these adorable key chains for yourself or as a gift. There are many different varieties from Goth to Punk, Horror Icons, Army, Pirates, we've got something for everyone! Woody's come in small and medium sizes. Pictures do not do these justice, they are a lot cuter in person.